Orange Oil Technology Created the Perfect Touring Tire. The ideal touring tire, with the optimum balance of extended treadlife, all-season performance and great fuel efficiency, is hard to find. However, Yokohama�s engineers have created touring tire perfection the use of their technologically advanced Orange Oil compound. While tires with conventional compounds contend with compromises in these three essential areas, the AVID Ascend is the world�s first touring tire to offer the Orange Oil difference. Increase block rigidity for longer, more even wear, while promoting wet and winter traction. Expedite water evacuation and provide exceptional bite for improved winter traction. Enhances rolling resistance, while promoting long treadlife. Reduce tread movement for more even treadwear and reduced noise. Separates tread blocks into different sizes and shapes for a quiet ride. GET THEM !! I owned an auto/RV franchise. Grew up in Oregon - I know rain. 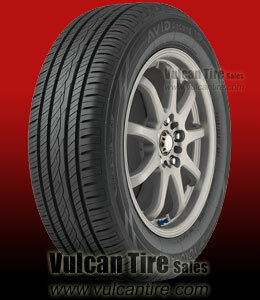 These Yokohama are the best tires on rain I have ever experienced. Our luxury sports sedan handles 90 mph as great now as with the OE Michelins which only lasted 40K. GET THEM. Highly recommend.